PRI-MED CARE located in Lewisville, Texas specializes in Internal Medicine and Family Medicine. As a research focused health care facility, Clinical research studies are the integral part of this process. 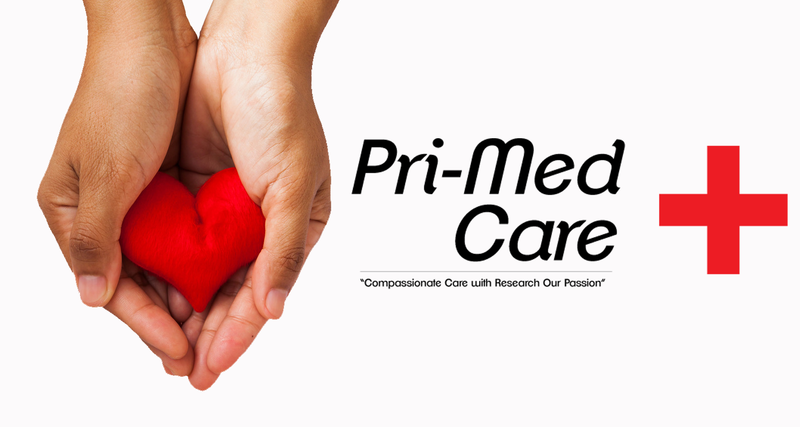 PRI-MED CARE is a pioneer in offering patient care of highest character and greatest skill. PRI-MED CARe Doctors cover all areas and subareas of Internal Medicine, General Cardiology, Preventive Cardiology and all areas of Family Medicine. So, step in with your family and let PRI-MED CARE take care of you, as a family.